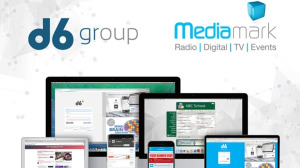 Mediamark has added the d6 School Communicator to the list of digital media properties it represents. The d6 School Communicator is a communication platform used by South African schools to inform and interact with parents. The d6 School Communicator aims to offer a unique opportunity to reach a key demographic: parents and caregivers with school-going children. It reaches up to 800 000 parents every day via desktop and mobile applications (IOS and Android). According to Mediamark, the solution allows advertisers to reach a highly targeted audience in a channel that they trust deeply and engage with regularly. It offers a range of flexible targeting options, from schools nationwide to schools in a particular town or suburb. "We are pleased to extend our digital advertising offering with a wonderful platform that enables brands to speak to parents and caregivers in a clutter-free environment," says Wayne Bishoff, managing director of Mediamark. "It strengthens our portfolio as a converged marketing solutions company that assists clients to drive maximum ROI from their budgets." Cindy Diamond, group sales director at Mediamark, adds, "I’m a busy mother with three children at different schools, and the d6 School Communicator is a tool I depend on every day." "Because the information is about my children, I vigilantly read these messages and am often drawn to the targeted advertising messages on the d6 platform so I can see the value for advertisers," Diamond adds. "We see the d6 School Communicator as the perfect vehicle to reach parents on a medium they really trust and pay attention to, complementing the rest of our portfolio, such as our TV, out of home, digital and regional radio offerings. We are looking forward to creating innovative and integrated solutions for advertisers together with d6 School Communicator," says Diamond. “Creative leadership and best practice come to mind when thinking of Mediamark. The level of competition within the creative digital agency world is huge, and we have pledged to only work with a partner that has the same vision and interest as d6, which has a reputation of success and innovation in the digital space," says Willem Kitshoff, CEO at d6 group. "We are confident that our relationship with our new digital partner, Mediamark, will offer our clients so much more and we are looking forward to this exciting journey," adds Kitshoff. For more information, visit www.mediamark.co.za. You can also follow Mediamark on Facebook or on Twitter.